The Maryland Eastern Shore, a peninsula extending hundreds of miles between the Chesapeake Bay and the Atlantic Ocean, offers endless recreational opportunities and is a popular summer vacation destination. Visitors from around the region flock to the Eastern Shore to explore the historic towns, beaches, and beautiful natural areas and enjoy activities such as boating, swimming, fishing, bird watching, biking, and golf. The resort communities along the Eastern Shore host wonderful annual events including waterfront festivals, seafood festivals, boating regattas and races, fishing tournaments, boat shows, museum events, arts and crafts shows, and more. The following provides a guide to popular destinations along the Eastern Shore and highlights the major attractions. Have fun exploring this beautiful part of Maryland. The charming small town, located at the northern end of the Eastern Shore, is known for its unique views of ocean-going vessels. The historic area sits just south of the Chesapeake & Delaware Canal, a 14-mile canal that dates back to 1829. Visitors enjoy art galleries, antique shopping, outdoor concerts, boat tours, horse farm tours, and seasonal events. There are several excellent restaurants and bed & breakfasts nearby. The C&D Canal Museum provides a glimpse of the history of the canal. The historic town on the banks of the Chester River was an important port of entry for early settlers to Maryland. There are many restored colonial homes, churches, and several interesting shops. The Schooner Sultana provides opportunities for students and adult groups to sail and learn about the history and environment of the Chesapeake Bay. Chestertown is also home to Washington College, the tenth oldest college in the United States. This quaint fishing town on the Eastern Shore, a favorite for boaters, has 15 marinas and a variety of restaurants and shops. The Waterman's Museum features exhibits on crabbing, oystering, and fishing. 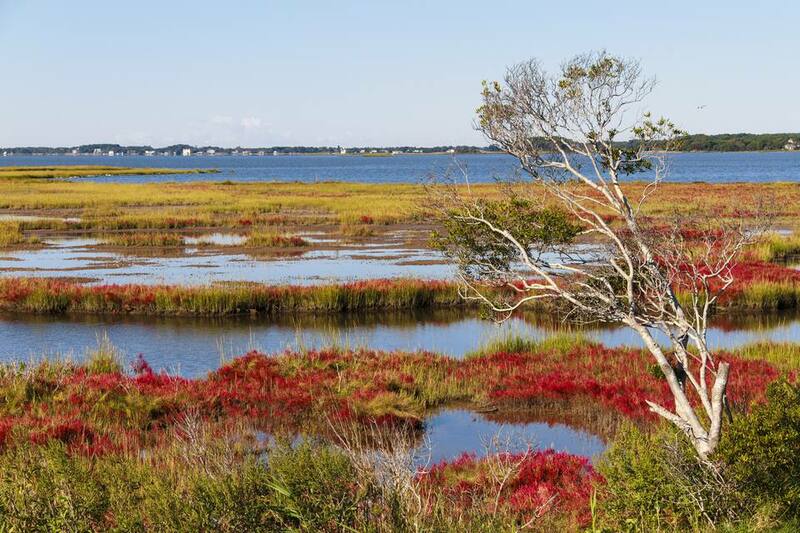 Eastern Neck National Wildlife Refuge is home to 234 species of birds, including nesting bald eagles and includes amenities such as hiking trails, an observation tower, picnic tables, public fishing areas, and a boat launch. Known as “Maryland’s Gateway to the Eastern Shore,” Kent Island sits at the base of the Chesapeake Bay Bridge and is a rapidly growing community because of its convenience to the Annapolis/Baltimore-Washington corridor. The area has lots of seafood restaurants, marinas, and outlet stores. Located along Route 50 between Annapolis and Ocean City, Easton is a convenient place to stop to dine or take a walk. The historic town is ranked 8th in the book “100 Best Small Towns in America.” Main attractions include antique shops, an art deco performing arts venue — the Avalon Theater — and the Pickering Creek Audubon Center. The quaint historic town is a popular destination for boaters with its small town charm and a variety of gift shops, restaurants, inns, and bed and breakfasts. The main attraction here is the Chesapeake Bay Maritime Museum, an 18-acre waterfront museum that displays Chesapeake Bay artifacts and features programs about maritime history and culture. The museum has nine buildings and includes an extensive collection of sail, power, and rowboats. St. Michaels is one of the best Eastern Shore destinations for sailing, bicycling, and eating freshly-caught crabs and oysters. Located on the Chesapeake Bay and the Choptank River, Tilghman Island is known most for sports fishing and fresh seafood. The island is accessible by a drawbridge and has several marinas including a few that offer charter cruises. It is home to the Chesapeake Bay Skipjacks, the only commercial sailing fleet in North America. This quiet town is the oldest on the Eastern Shore, having served as a port of entry for British trade vessels during Colonial times. There are several marinas, and the Oxford-Bellevue Ferry crosses the Tred Avon River to Bellevue every 25 minutes. The main attraction in Cambridge is the Blackwater National Wildlife Refuge, a 27,000-acre resting and feeding area for migrating waterfowl and home to 250 species of birds, 35 species of reptiles and amphibians, 165 species of threatened and endangered plants, and numerous mammals. The Hyatt Regency Resort, Spa, and Marina, one of the region’s most romantic getaway destinations, sits right on the Chesapeake Bay and has its own isolated beach, an 18-hole championship golf course, and 150-slip marina. Salisbury is the largest city on the Eastern Shore with approximately 24,000 residents. Attractions include the Arthur W. Perdue Stadium, home to the minor-league Delmarva Shorebirds, the Salisbury Zoo, and Park, and the Ward Museum of Wildfowl Art, a museum housing the most extensive collection of bird carvings in the world. With 10 miles of white sand beaches along the Atlantic Ocean, Ocean City, Maryland is the ideal place for swimming, surfing, kite flying, sand castle building, jogging, etc. The Eastern Shore resort is a bustling beach town with amusement parks, arcades, miniature golf courses, shopping malls, an Outlet shopping center, movie theaters, go-kart tracks, and the famous 3-mile Ocean City Boardwalk. There is a wide range of accommodations, restaurants, and nightclubs to appeal to a variety of vacationers. Assateague Island is most known for the more than 300 wild ponies who wander the beaches. Since this is a national park, camping is allowed, but you’ll have to drive to nearby Ocean City, Maryland or Chincoteague Island, Virginia to find hotel accommodations. This is a great Eastern Shore destination for bird watching, seashell collecting, clamming, swimming, surf fishing, beach hiking, and more. Crisfield is located at the southern end of the Maryland Eastern Shore at the mouth of the Little Annemessex River. Crisfield is home to many seafood restaurants, the annual National Hard Crab Derby, and the Somers Cove Marina, one of the largest marinas on the East Coast. Maryland's only inhabited off-shore island on the Chesapeake Bay is accessible by ferry only, from Point Lookout or Crisfield. This is a unique getaway destination with a few bed and breakfasts, the Smith Island Museum and a small marina.